Rugged anvil texture accomplished on the artist's anvil. 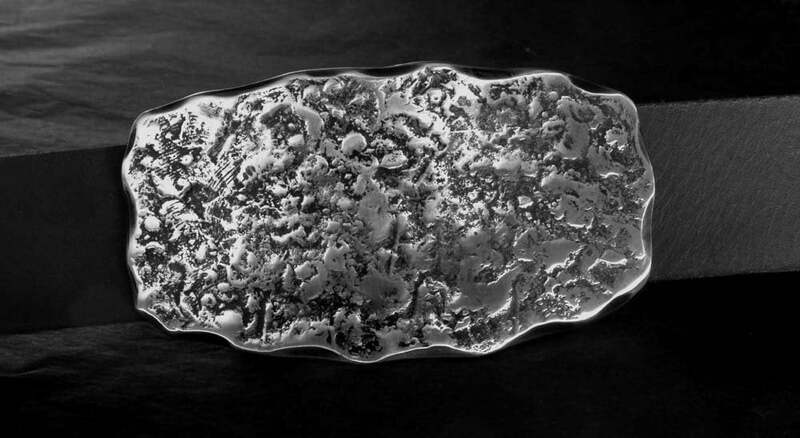 Texture resembles asphalt or the Odessa Meteorite. Silver & black stainless steel buckle. Black velvet bag for storing buckle included. 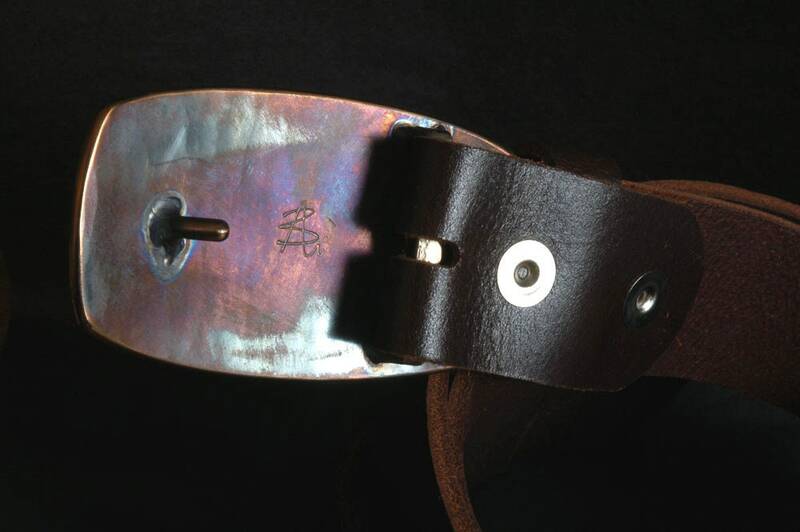 Buckle measures 3-3/4"X 2-1/4" and will accept a 1-1/2" full grain leather belt.